For a considerable time, I thought about possible names for this blog. Why would I spend precious time writing about weaving when I could be creating something to hang on the wall, to use, to wear or to sell? What do I have to say about weaving that hasn’t been said before or written in a book? Who might be interested in reading this blog? I considered these reasons and more before embarking on this daunting project. Answers to my questions ranged from ridiculous to amusing, to serious, to lofty. Some surprised even me. With my self-assigned homework done, it was clear to me I wanted to talk about weaving – its process and its art. The shortened quote is from the first book Mother bought for me (that I remember) which I still have today. 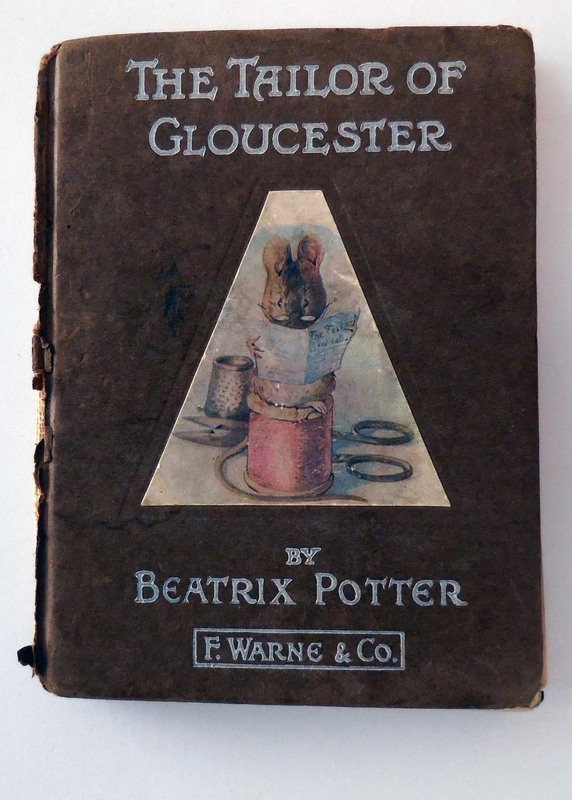 Beatrix Potter’s “The Tailor of Gloucester” is a battered hard cover copy with crayon marks and all. The eldest of five children, four being girls, in sparse economic times during and just following World War II, Mother made most of our clothes. As eldest, I assisted. At first, I tended the younger children while she sewed. Then at a very young age – somewhere between three and five – I began to refine my sewing skills by making doll clothes. It was an easy step into the role of helping with kid clothes construction. From there, I made a natural progression into sewing my own clothes. As a seamstress, I was thorough and meticulous. I was a member of 4-H during my junior high school years and competed with adults at the county fair. I’m proud to say I won a third place ribbon on a skirt and blouse outfit constructed completely by myself. Like the name of the blog, I searched for an appropriate and descriptive tag line. This quote comes from a long way back in time. As we girls used to sit and hand stitch hems on dresses, we used to recite it with other quotes from Beatrix Potter’s book. In my opinion, this tag line is not very good. It probably doesn’t mean anything to anyone but me. In today’s world it is hardly a recognizable quote. “Twist” is not a recognized term for thread in today’s language. The name of the blog works. Right now, this tag line is what I have until I come up with something that works. May take a while. 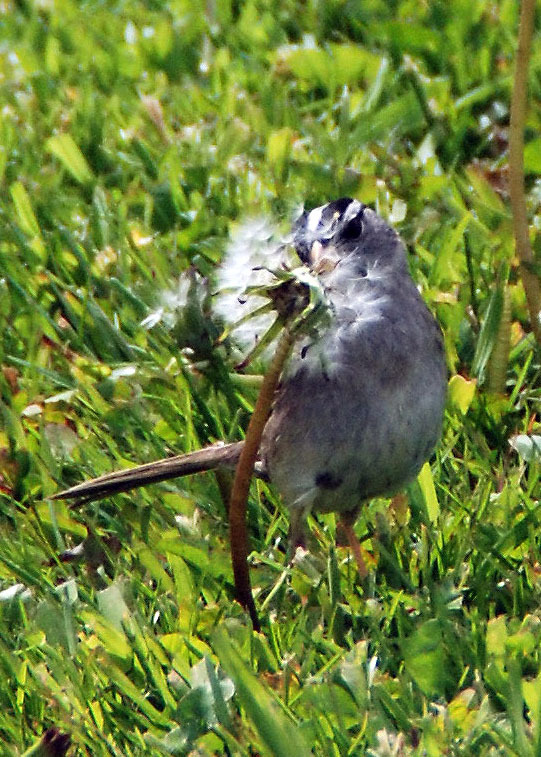 When I started this blog, it was intended to be about birds and wildlife I see at home and on walks in the area. As I got into writing it, I realized the topic was not something I could write about as often as was needed to keep audience interest. So I added two sections: short fiction works and my blog about whatever hot topic I think of as time rolls by. That being said, I like a place to file my stories and I love to share them. And I like the blog. My next move will to be to file a story, for instance this one which really is not about weaving, in the most appropriate blog and then refer to it in the other one. Or not. I would hate to ruin either blog. Have to think on this some more. As on The Artful Weaver, the tag line for Birds of a Feather … is too long. I will continue to change it until I land on a phrase that speaks to me and to my readers. Somehow I identify with you … Greetings from Denmark! Thank you for your interest. I will be following you. Thank you Judith! I will also follow you. I know nothing about weaving but my family has a long history of all sorts of hand sewing and other creative arts. I enjoy how you tell a story 🙂 glad to meet you.